Bulldozer is heavy machinery usually (tractor) equipped with massive metal blade in its front part. 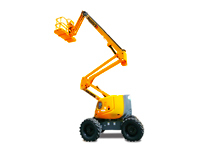 It is used for clearing land by pushing material in large quantities or to demolish structures by applying force. It also has a powerful claw commonly known as ripper attached to it particularly for loosing densely compacted material. Bulldozers are important for multiple industries like mining industry, military, precision factories and agricultural farms also. With the passage of time bulldozer evolved through many stages, it became more powerful and larger in size than older days. Its functionality and efficiency has also increased to handle large earth works. Bulldozers have variety of 3 different blades to opt from. A straight blade is a short blade without any curve or any sort of extra wing and it is mostly used to grade land. Another type is U-blade or universal blade it is large and curved with extra wings to handle more material. S-U blade is also available in market that is Short-Universal blade, it is shorter than the universal but has wide spread wings. These blades could be fitted in multiple ways totally according to the need, sometimes they are fitted straight across the frame and sometimes at an angle. Additional 'tilt cylinders' are also used in few conditions to vary the angle of the blade while moving. With sharper blade it could also be used as tree lagging machine. Japanese heavy machinery producing companies like Komatsu and Caterpillar have their bulldozers available for construction industry. 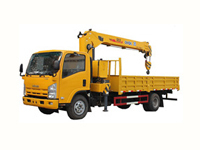 Car Junction a renowned used automobile and machinery provider has made this process of buying machinery easy and economical. You can check used machinery at our stock or for any further information you can contact our online sales representatives.